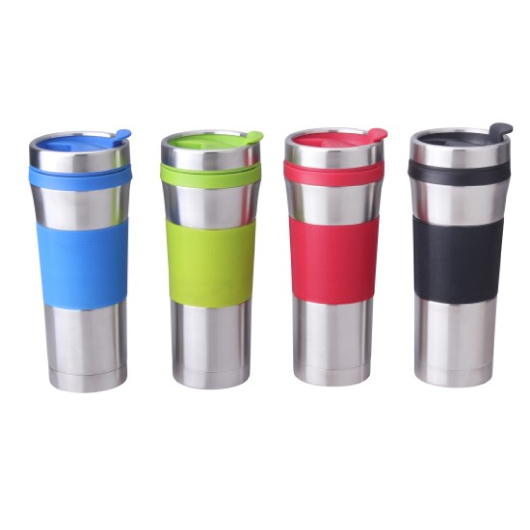 A premium stainless steel travel mug was made for you to enjoy your favourite beverages without worrying about spills, leaks, or losing freshness. Enjoy the day with your favourite beverages while on-the-go with this premium double-walled coffee mug. 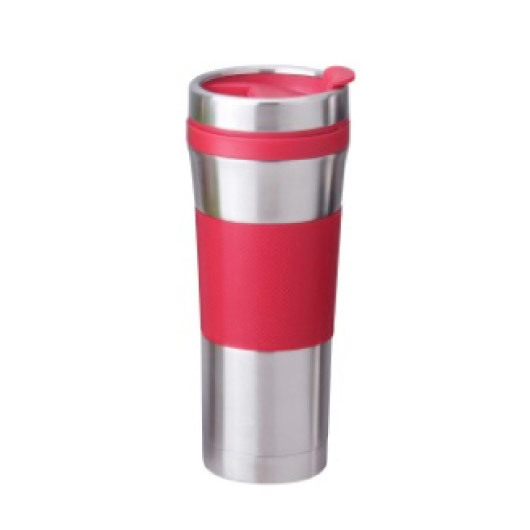 Designed to hold 450ml of your favourite drinks and it is made from BPA-free stainless steel mug which is double walled to keep your drinks hot or cold for longer periods of time. It also features a non-slip rubber band and contour shape for a comfortable grip. The lid is designed to be leak and spill-proof so you can be sure your drink is safe from accidentally spills.